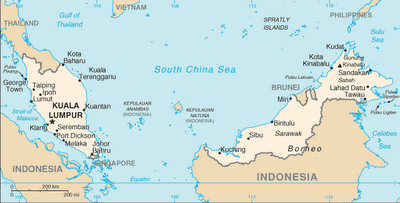 The word “unusual” has many uses: odd, abnormal, rare, unconventional. Whereas my previous “unusual greens” posts have been about rare greens, this post is about “amazing” and “exceptional” greens. The reason for this is that the “Borneo greens” aren’t from the Farmers’ Market or a local Asian shop—they are from the lower slopes of Mount Kinabalu, the highest mountain in Southeast Asia (4,095 m). The diversity of vegetation in the forest is astonishing. 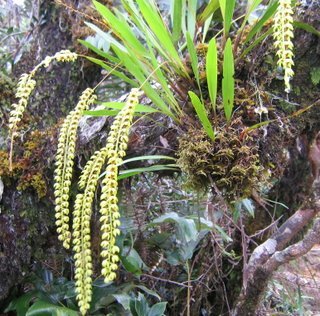 Just about anything that isn’t moving is covered with moss, lichens, climbing vines or epiphytic plants. Orchids appear here and there along the trails. Pitcher plants (a type of carnivorous plant) are also a feature of the park. The first photo is of the Liwagu River. 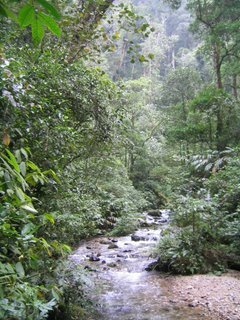 A trail runs alongside the river at varying elevations above the rushing water, and rarely drops down to water level. The river canyon is deep, making parts of the trail quite dramatic. 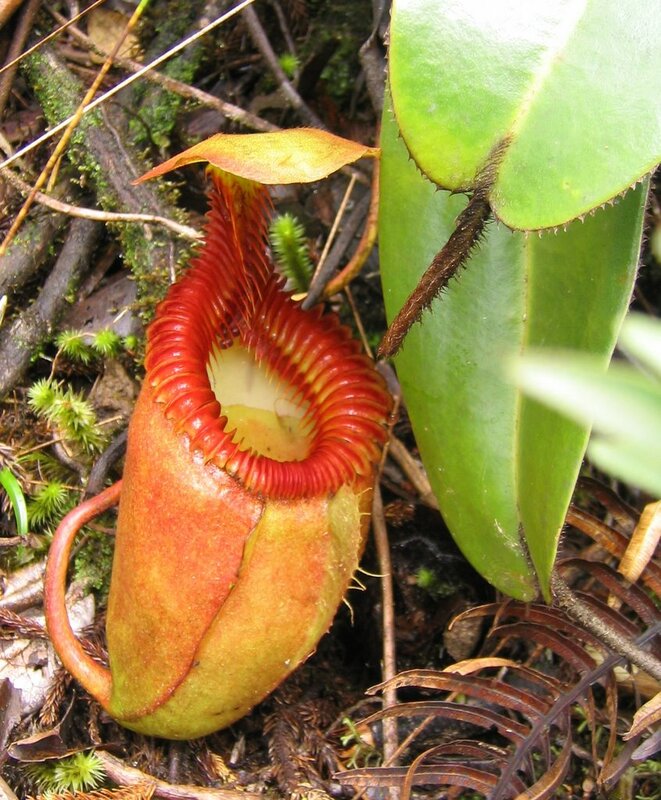 Every now and then we would notice a pitcher plant along the side of the trail. The park has multiple species within the park boundaries, but I saw just three or four species. The diversity of ferns in the forest was unreal. Some were the size of trees, while others could be held in your hand. 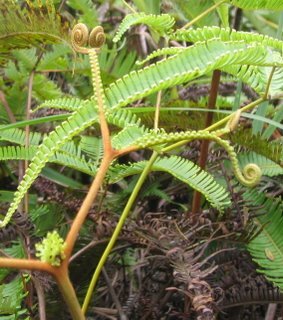 They each had their own way of unfurling. 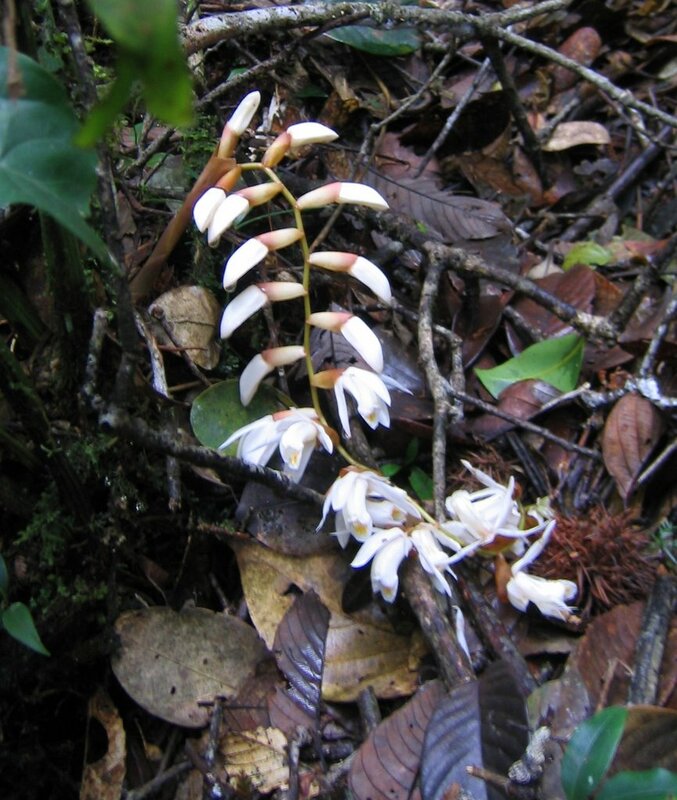 Borneo has over 1000 species of orchids, so it is not hard to see a few types while hiking through the forest. This is a Dendrochilum variety (probably). I’m not sure what species these are, but the white flowers are a bright surprise in the mass of green, brown and grey. Yet another mystery plant (probably not an orchid). The shape of the leaf is great. 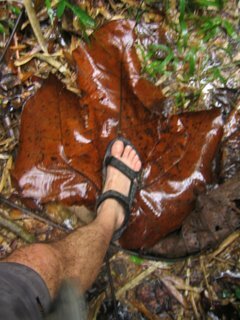 The last photo is of a huge leaf that we found on Gaya Island off the coast of Kota Kinabalu. My foot is a size 9 U.S.(~42 European), giving this leaf nearly a 1 meter diameter. It was raining hard during that particular hike, so the giant leaf was good to have above us. Update (10/28): the leaf is from a Macaranga gigantea tree. If you would like more detailed comments about how I got to the park, where I stayed, and so forth, please drop me an e-mail and I’ll respond in a little while after I assemble my trip notes. I’m betting on Begonia for the asymmetrical mystery leaf. 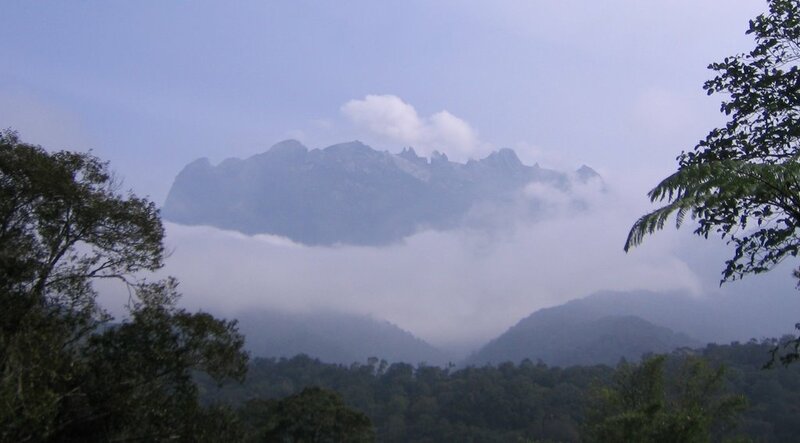 Great that you made it to Kinabalu! Forests in Malaysia is absolutely awesome. 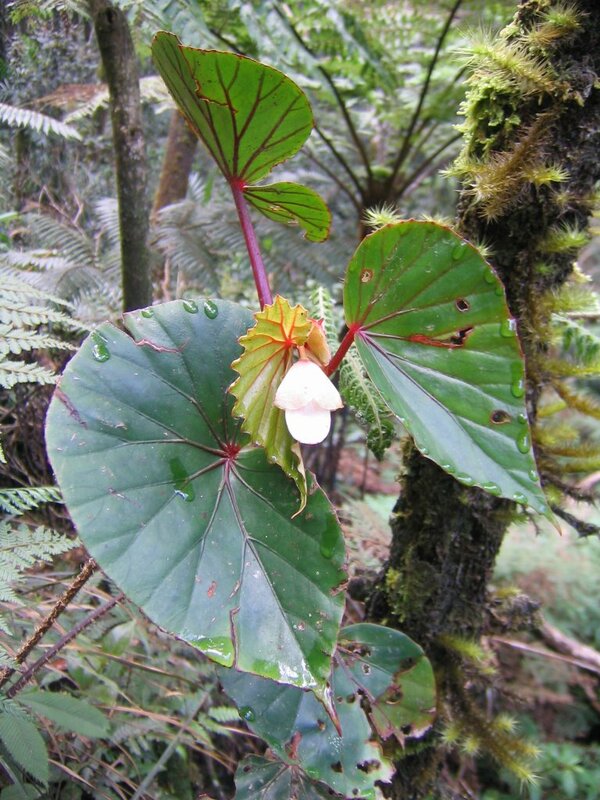 Yes, I think the mystery plant is a Begonia. Thanks.